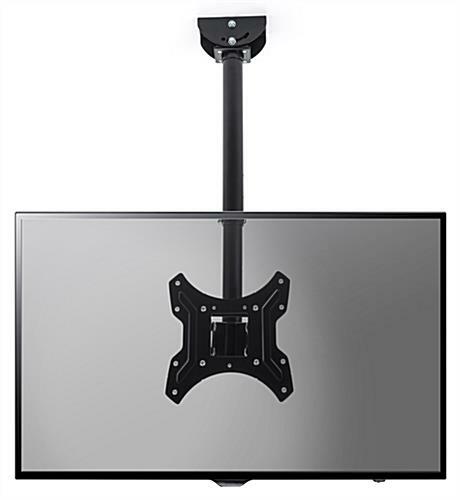 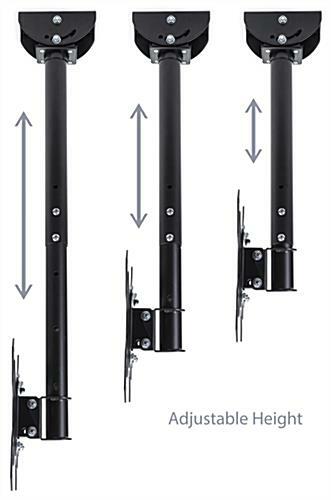 Height Adjustable from 20" to 33"
A ceiling TV mount for 26" - 55" screens provides the best possible viewing experience at any angle. 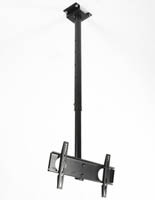 This sturdy accessory is VESA compatible for sizes 75x75, 100x100, 200x100, 200x200, and fits 400x400 using the included adapter arms. 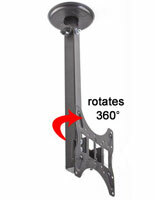 Each steel ceiling TV mount features a swivel base that can be set to any point between 0° and 90°, allowing a monitor to be installed on slanted surfaces without difficulty. 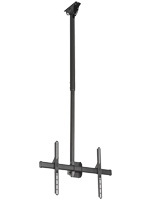 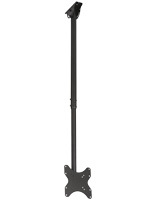 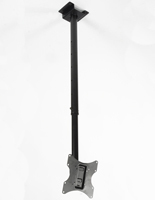 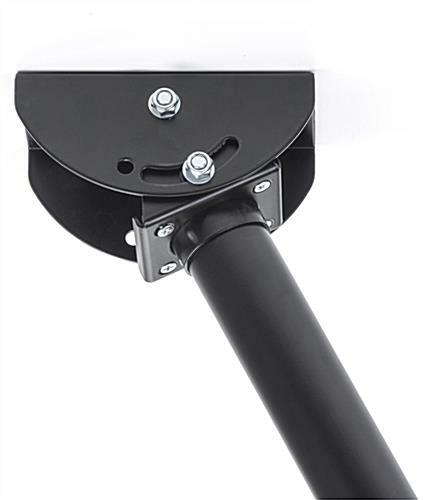 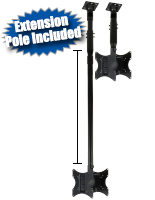 The telescoping pole rotates a full 360° and is height adjustable from 20" to 32" for maximum flexibility. 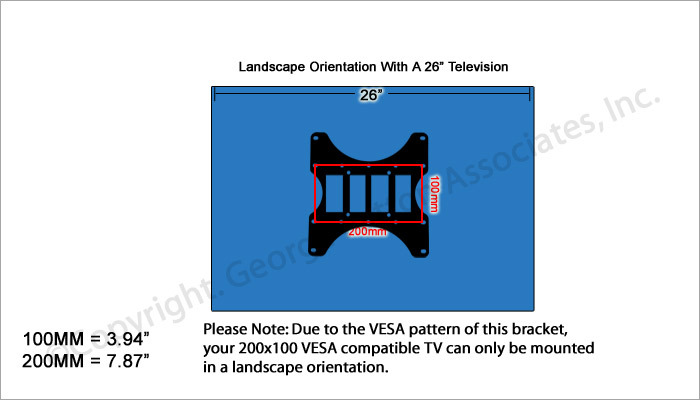 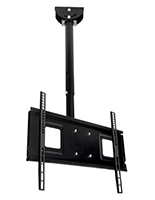 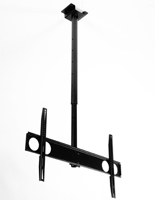 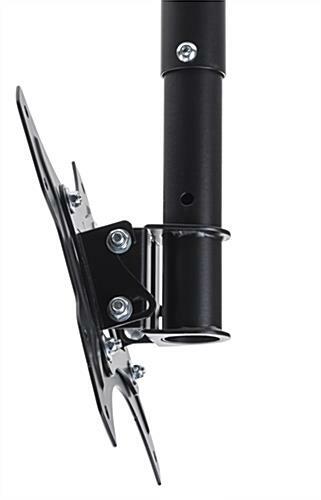 The VESA bracket can be positioned at a downward tilt of up to 15°. 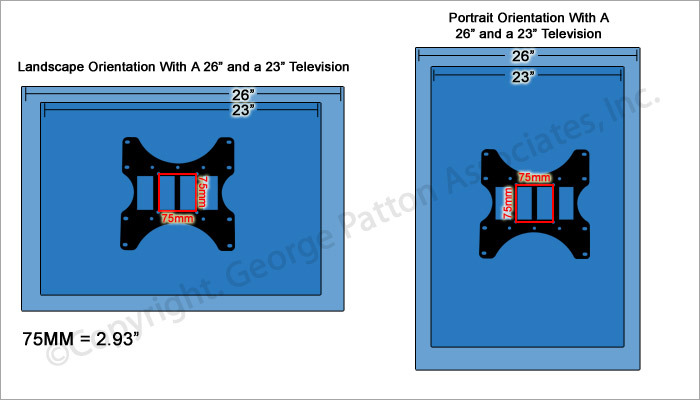 Attach the ceiling TV mount into a wood stud or concrete to free-up wall and floor space in an office, restaurant, or classroom. 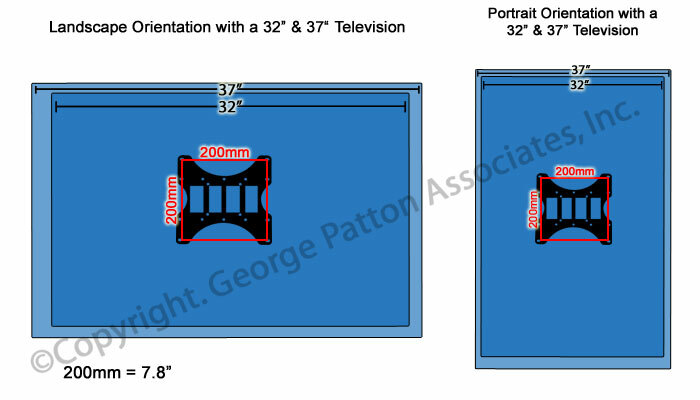 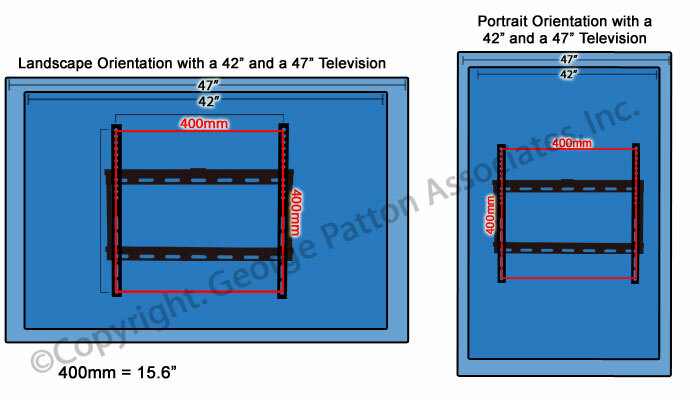 9.3" x 23.0" x 23.8"